National Non-Woven's QUALITY Wool Felt Fabric. THIS IS FOR A HALF YARD, measuring 18" by 36". If ordering more than one quantity, it will be cut in one continuous length. This is a 20% Wool/ 80% Rayon Blend. Very nice to work with and sew with, either by hand or by machine. Great for your felt crafting needs. 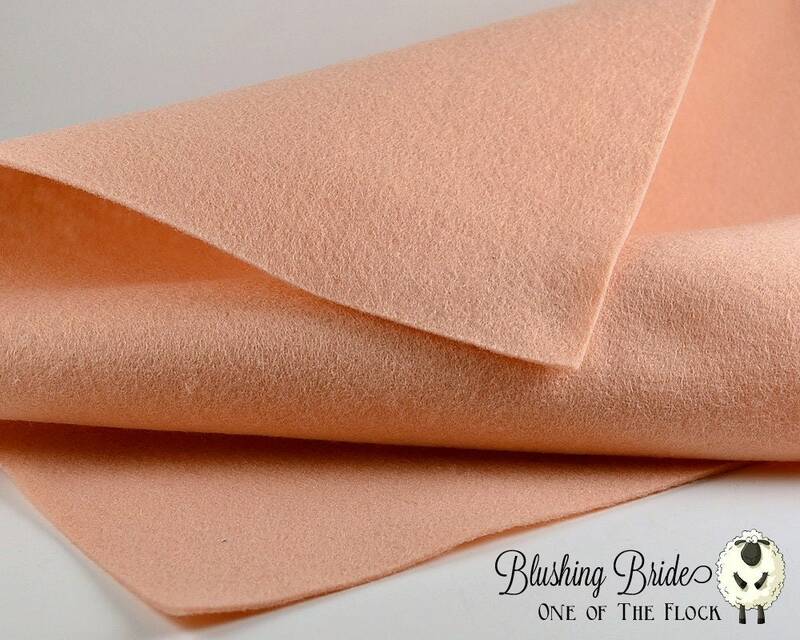 ♥♥♥♥♥♥ Purchase two half yards of felt and GET THE TUTORIAL FOR FREE. Add the following coupon code at checkout. top quality fabric and beautiful color. Thank you!